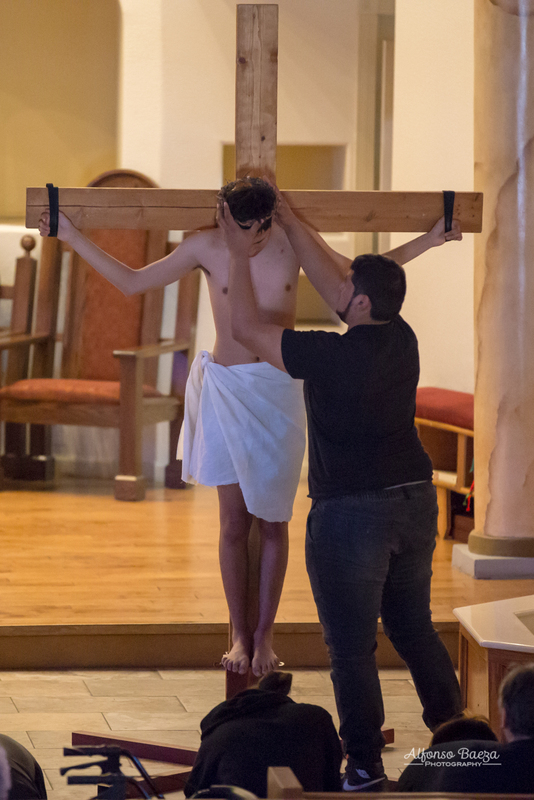 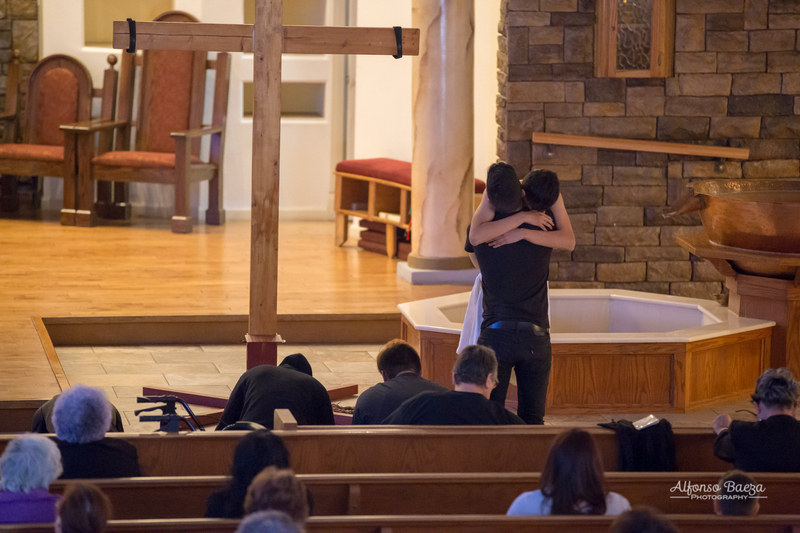 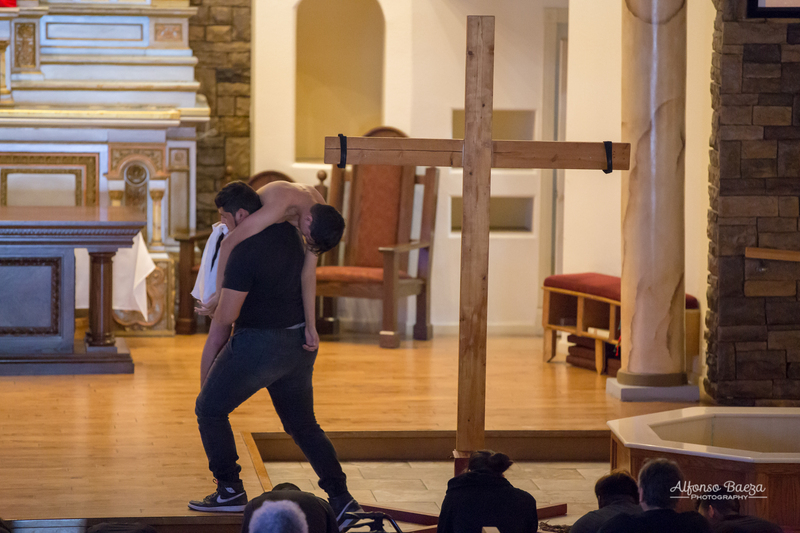 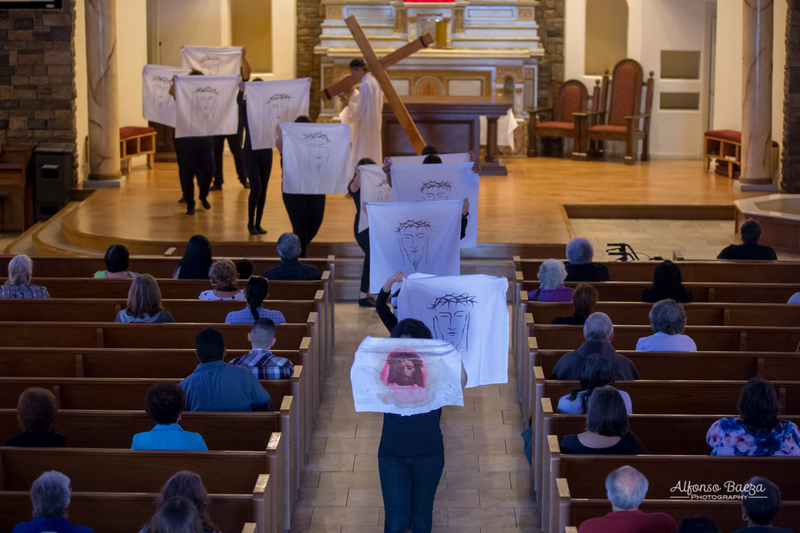 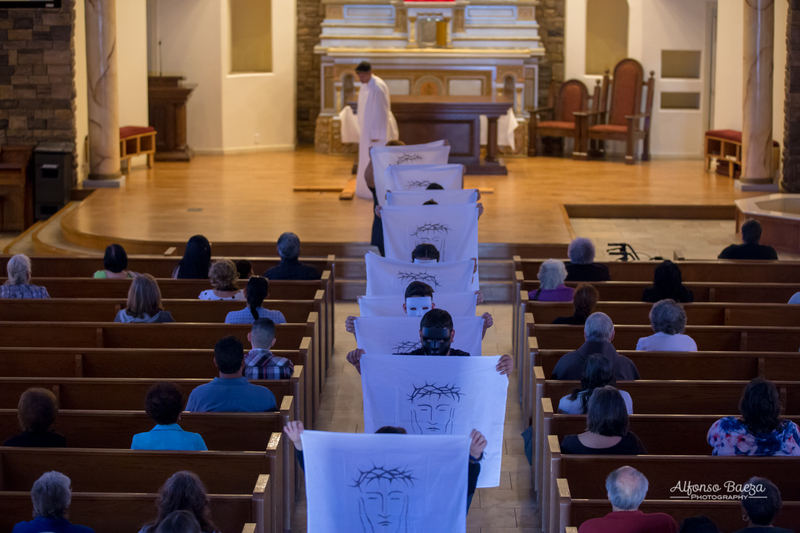 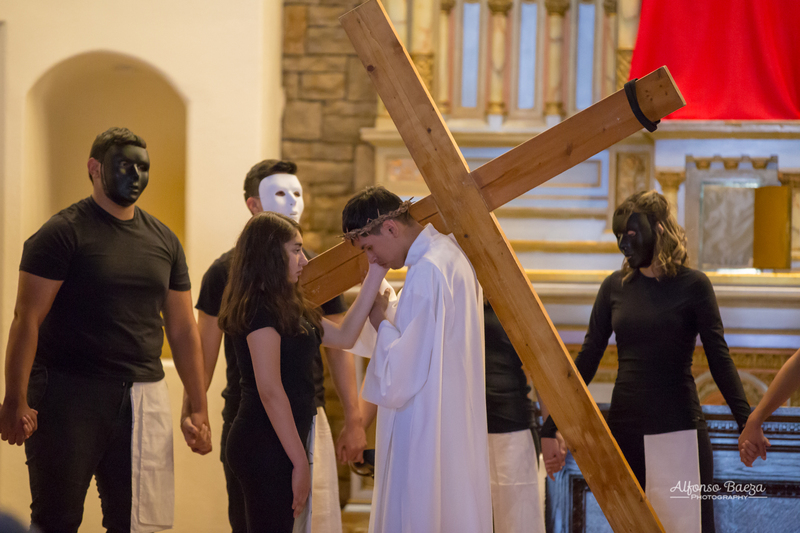 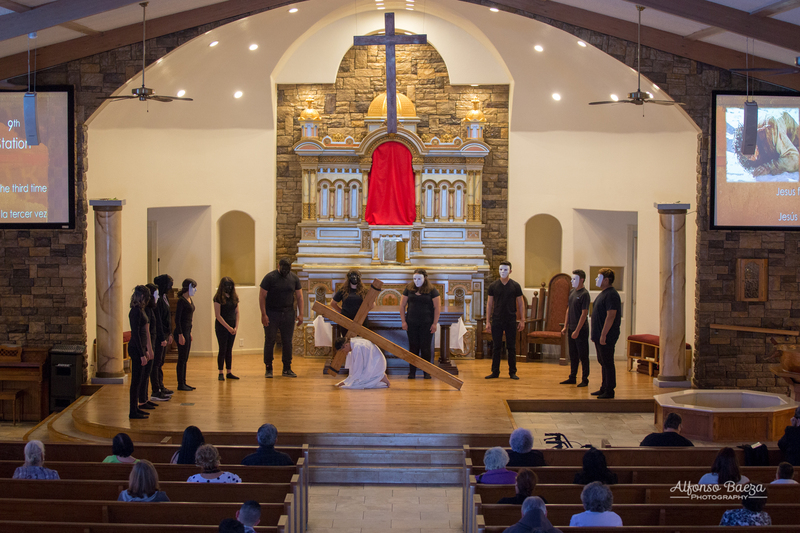 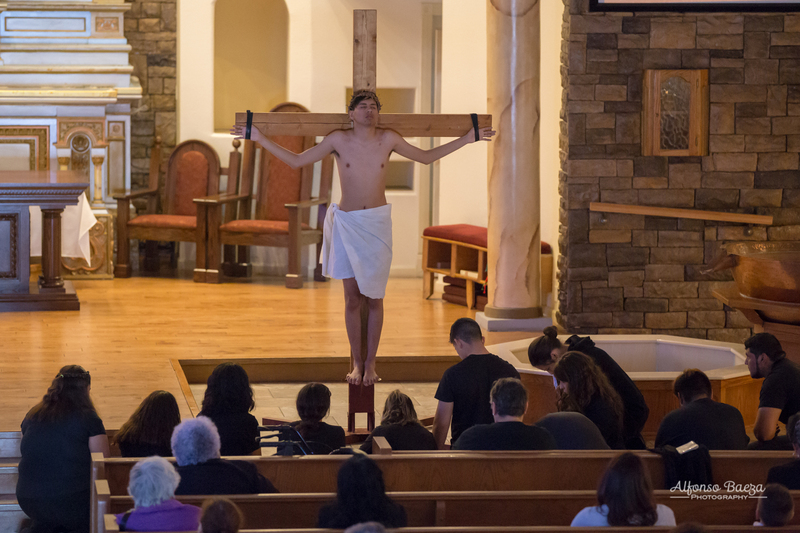 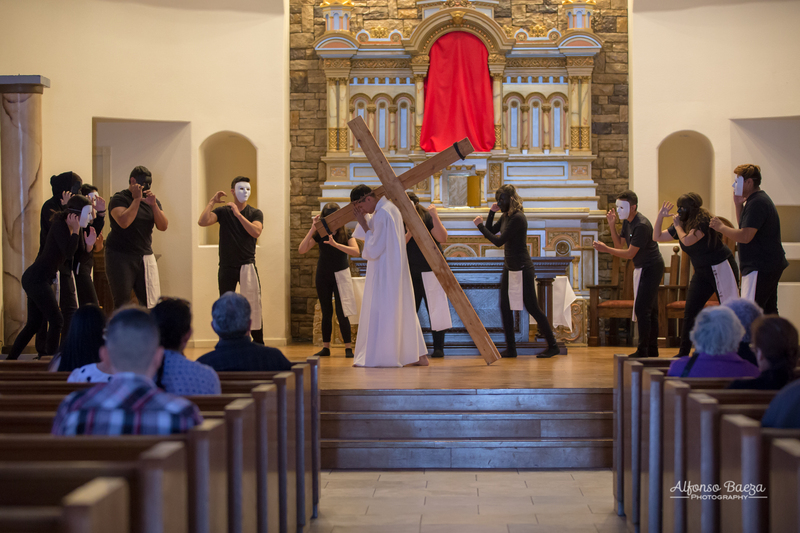 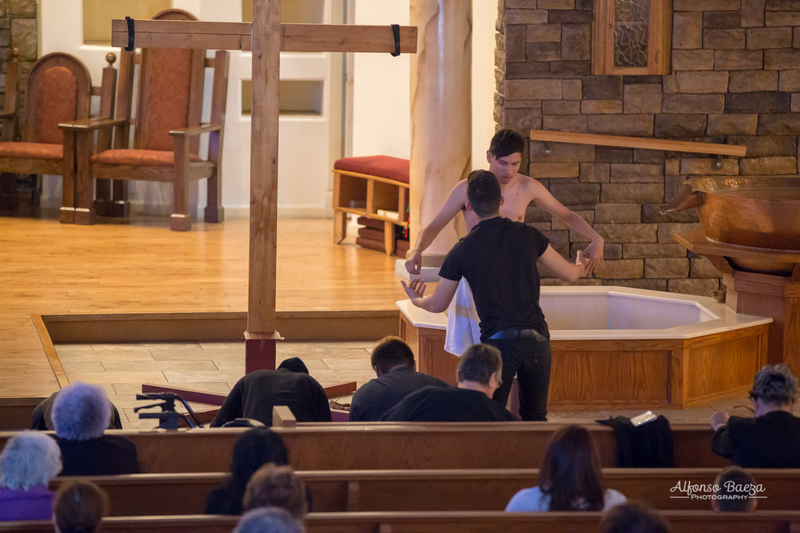 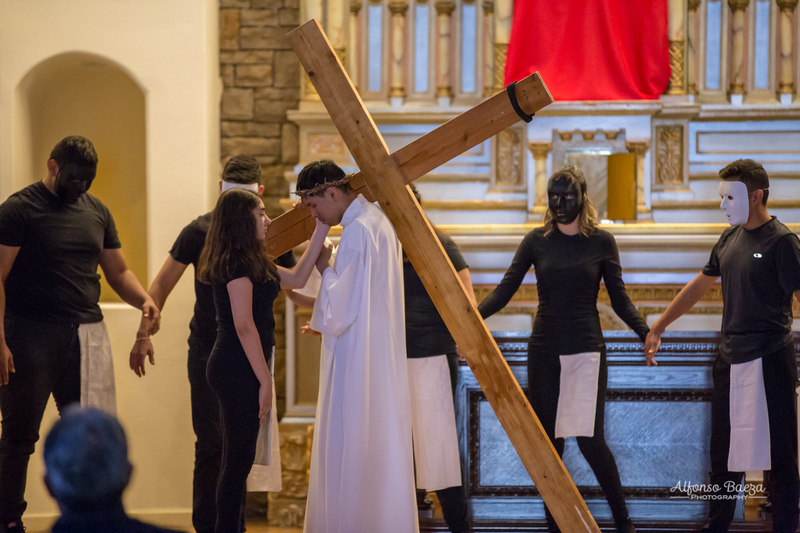 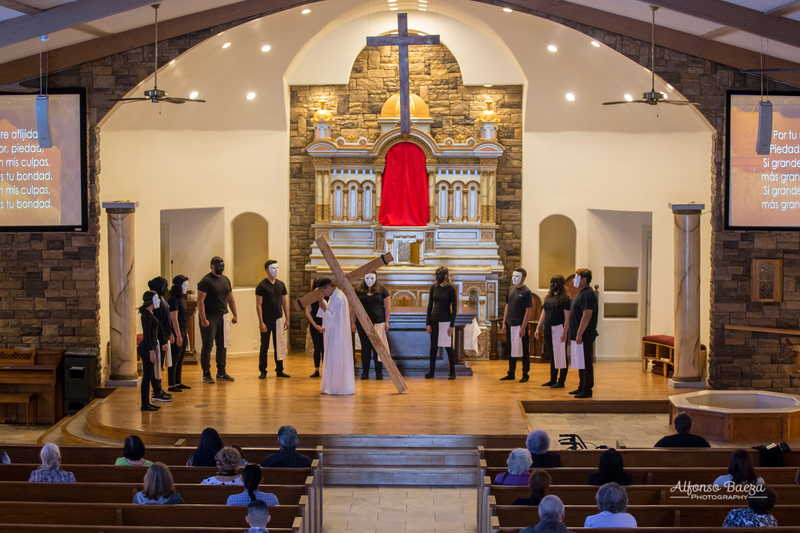 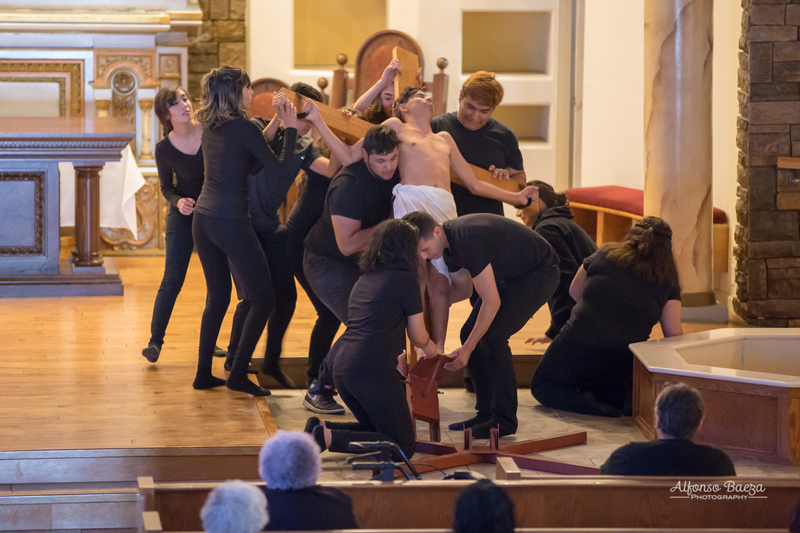 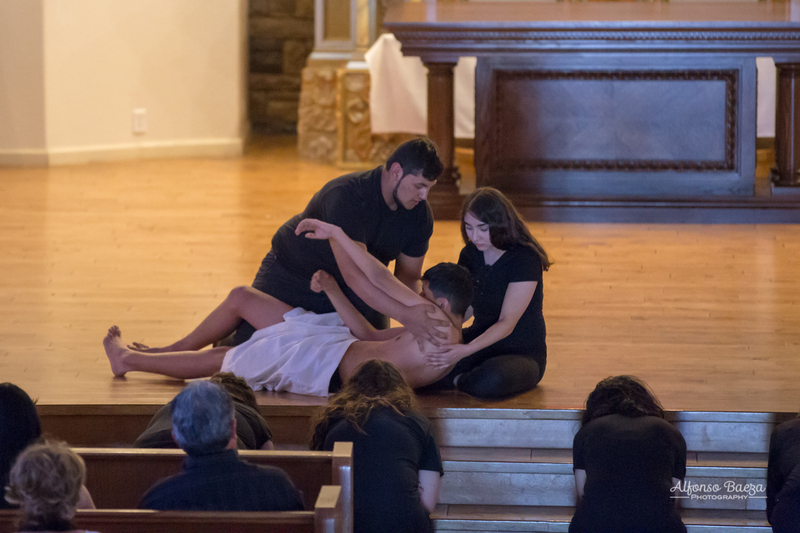 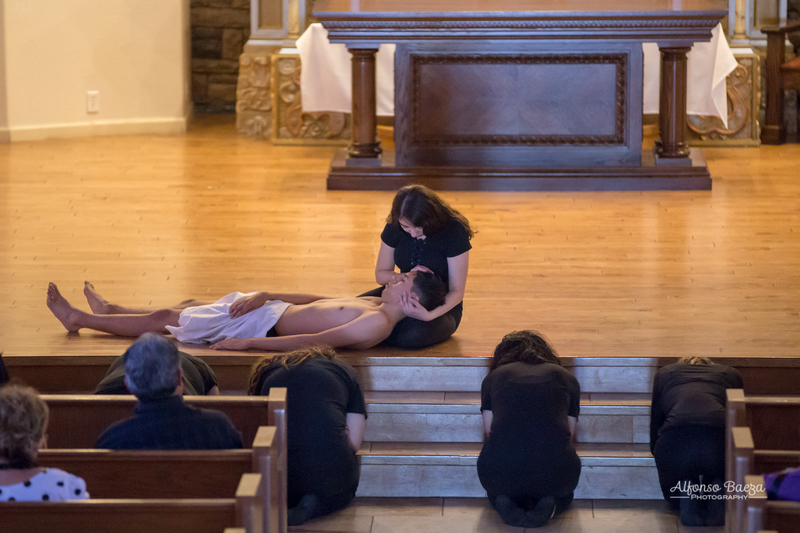 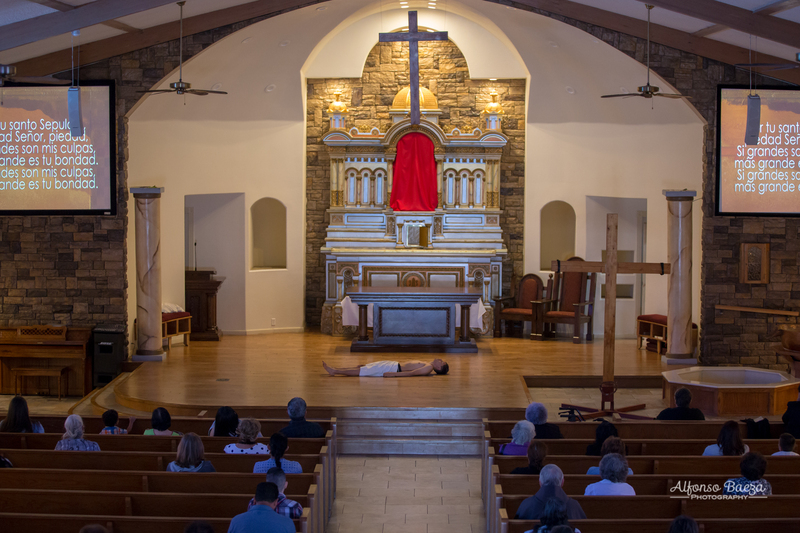 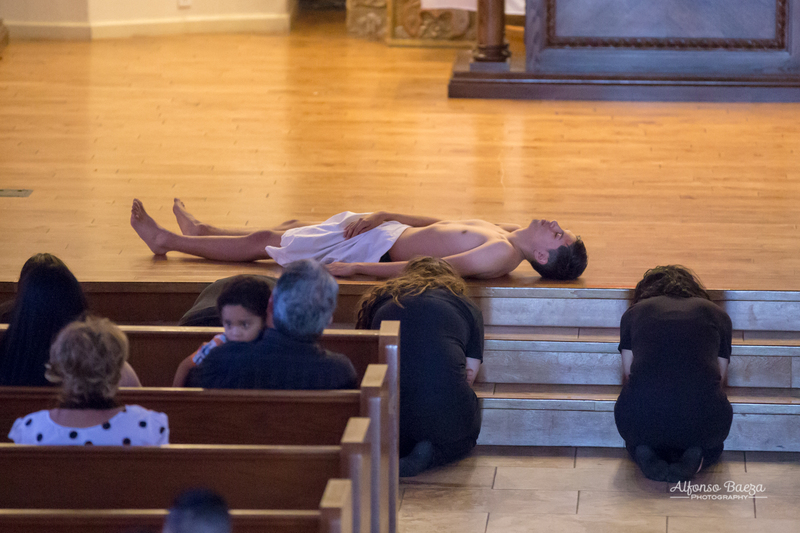 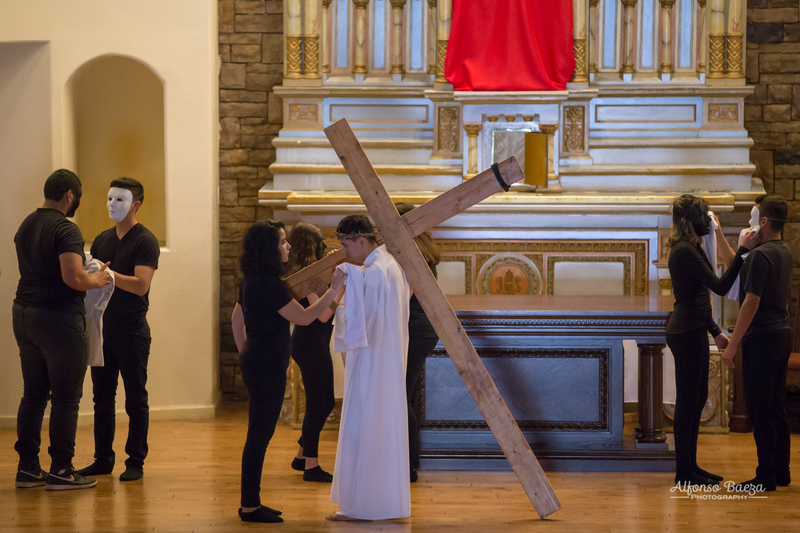 Good Friday evening we gathered as a community of believers to pray and witness a drama of the Stations of the Cross. 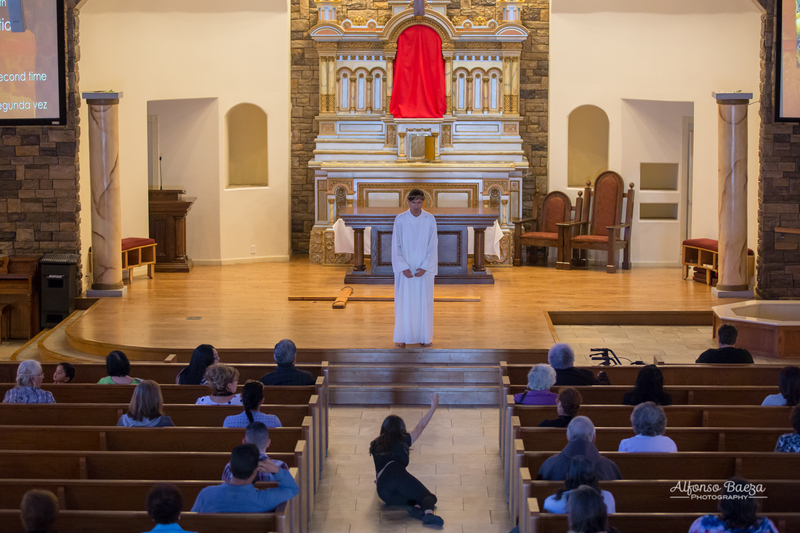 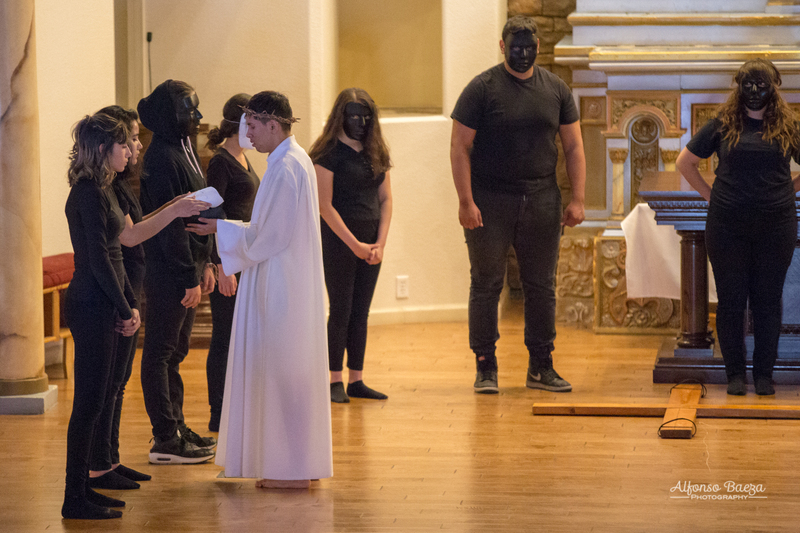 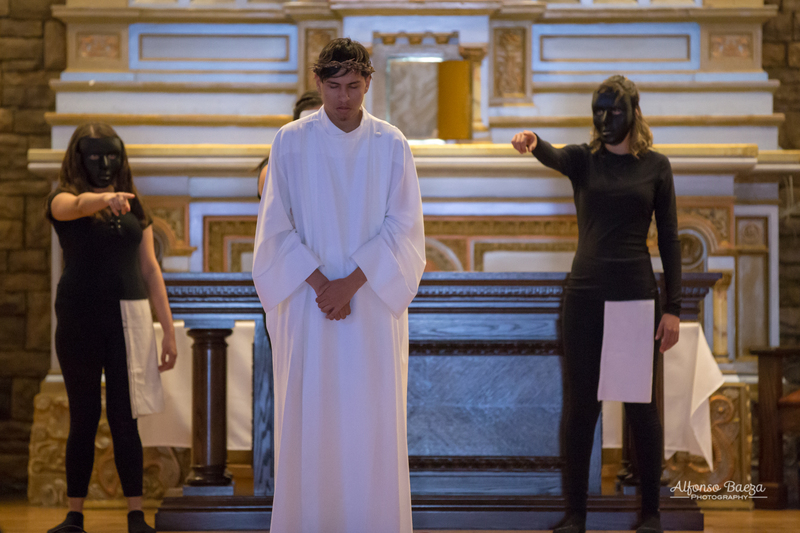 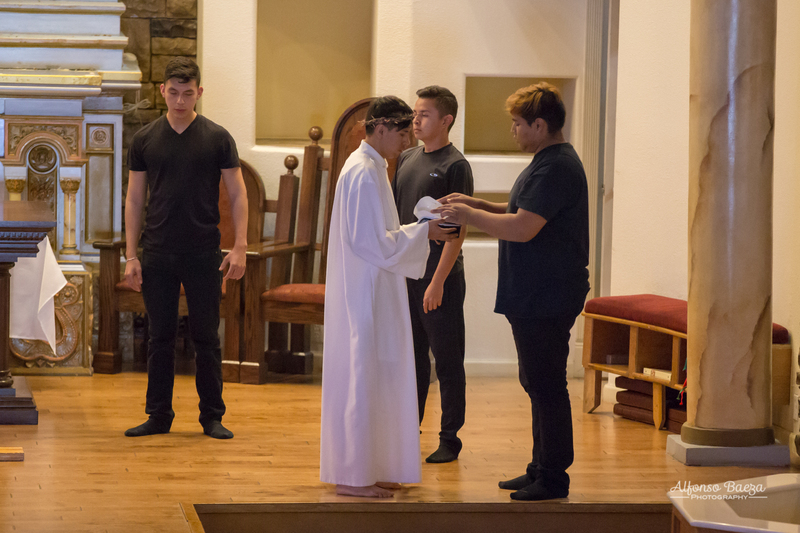 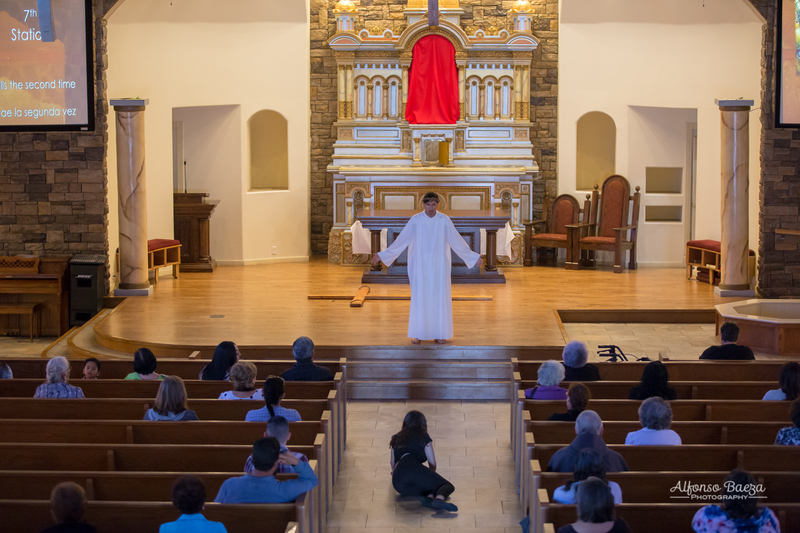 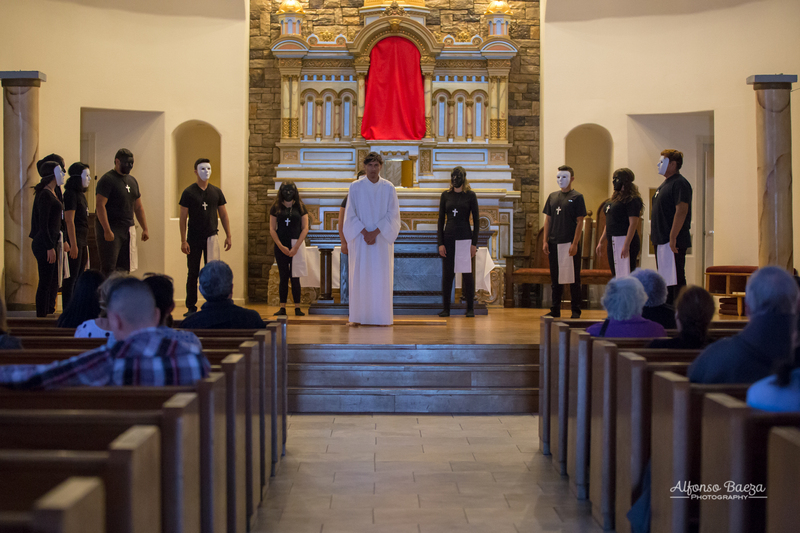 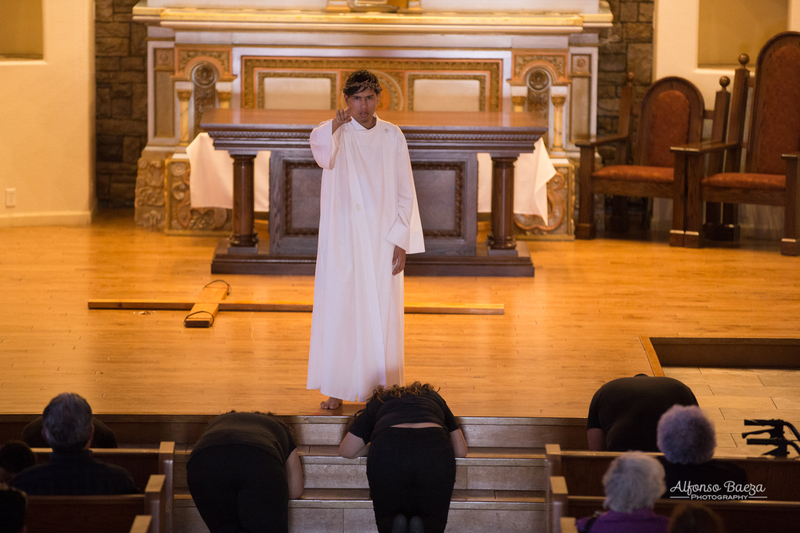 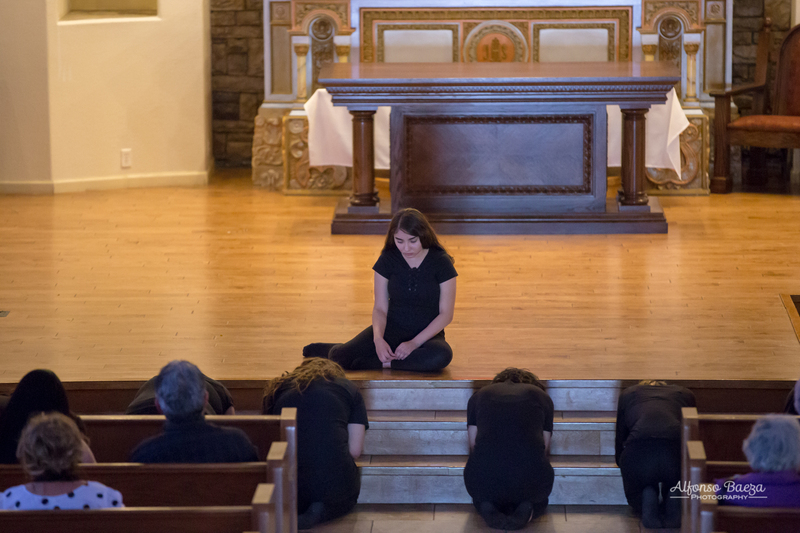 This drama was written by Father Loren Koziol, while he was stationed in Milwaukee. 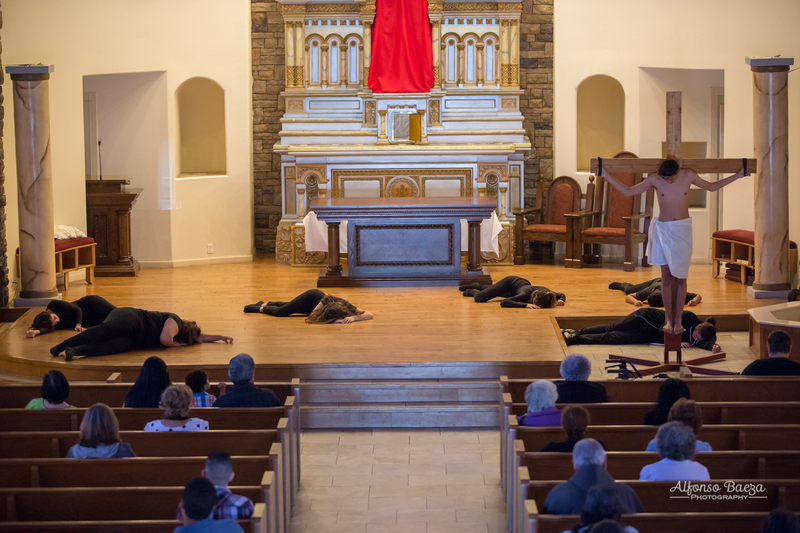 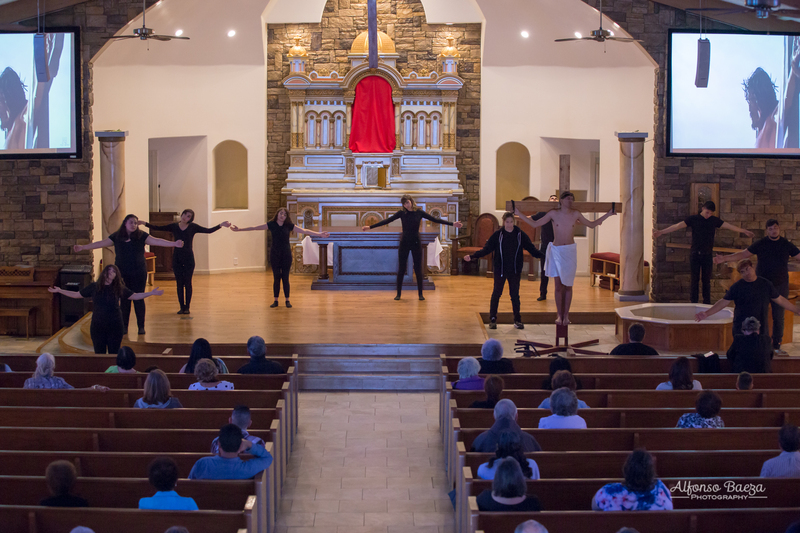 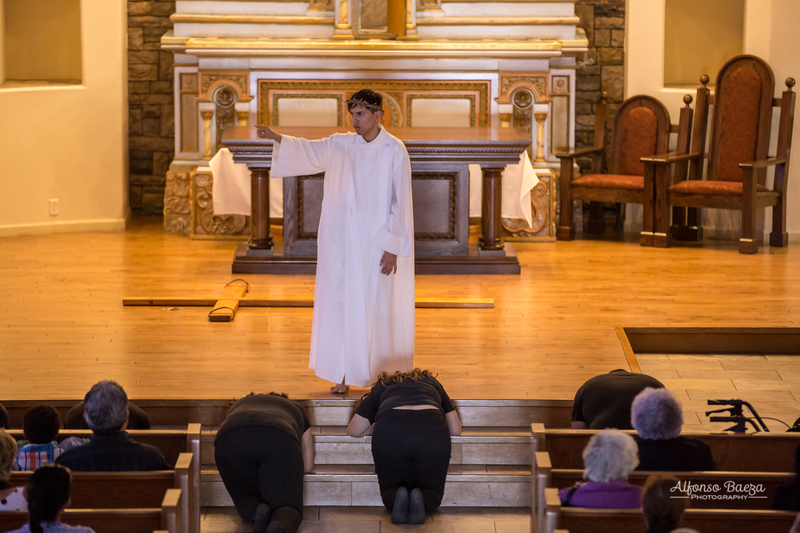 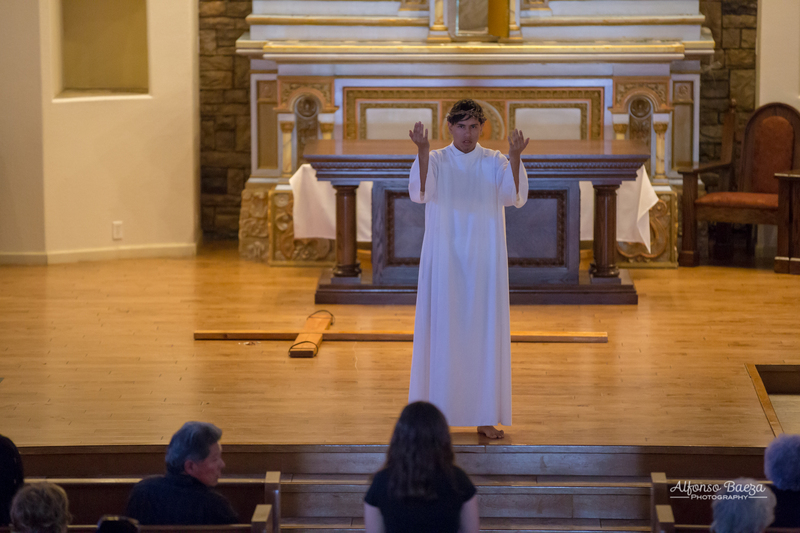 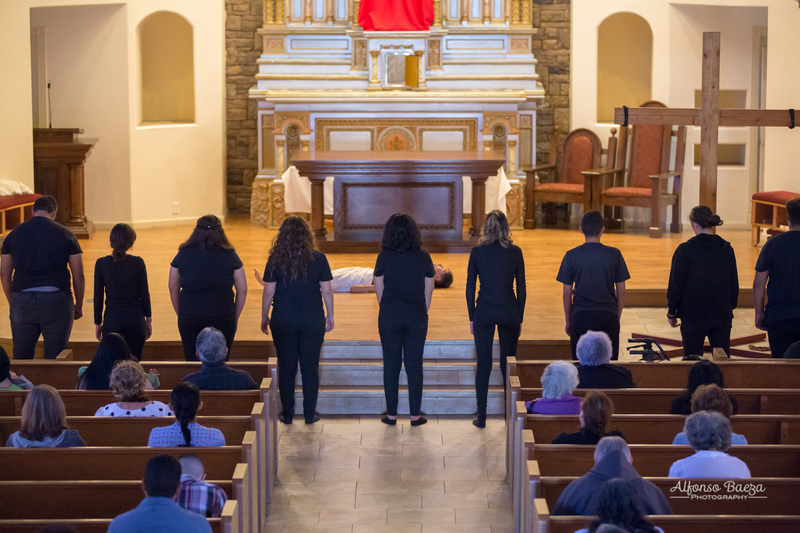 It was first performed at San Jose Parish in Carlsbad, NM during his pastorship. 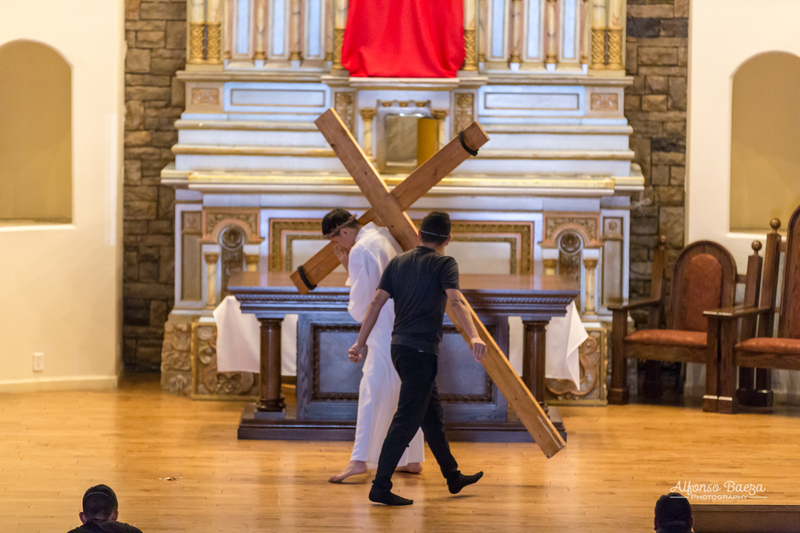 A few years ago Father Loren also walked a painful journey of the cross as he suffered and eventually died of cancer. 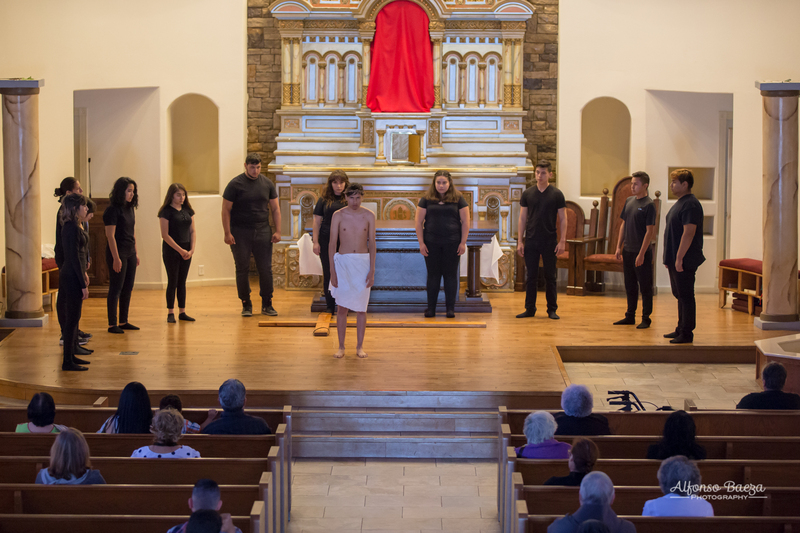 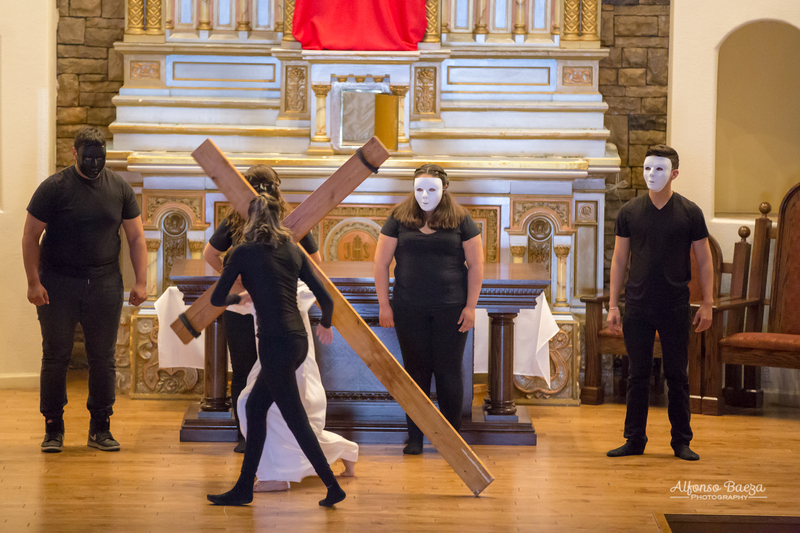 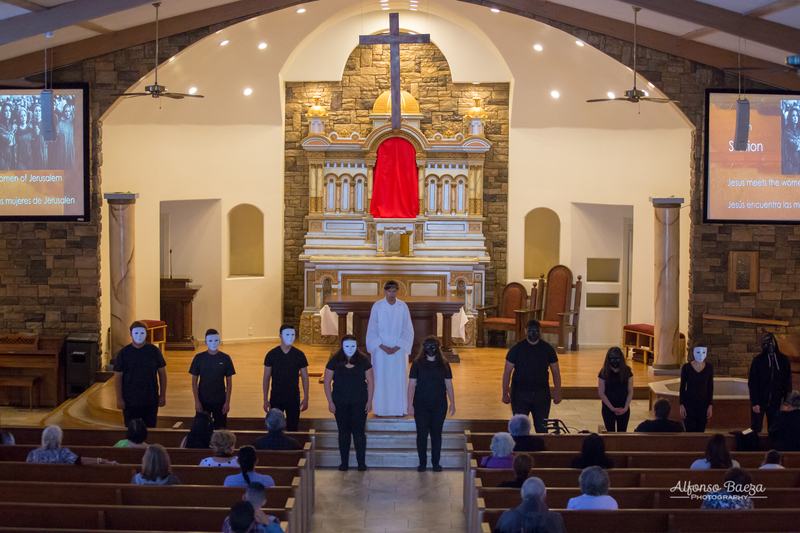 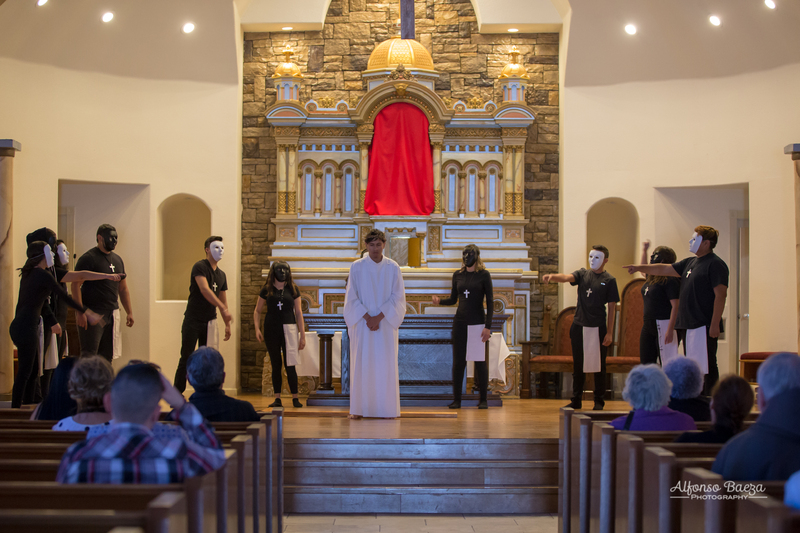 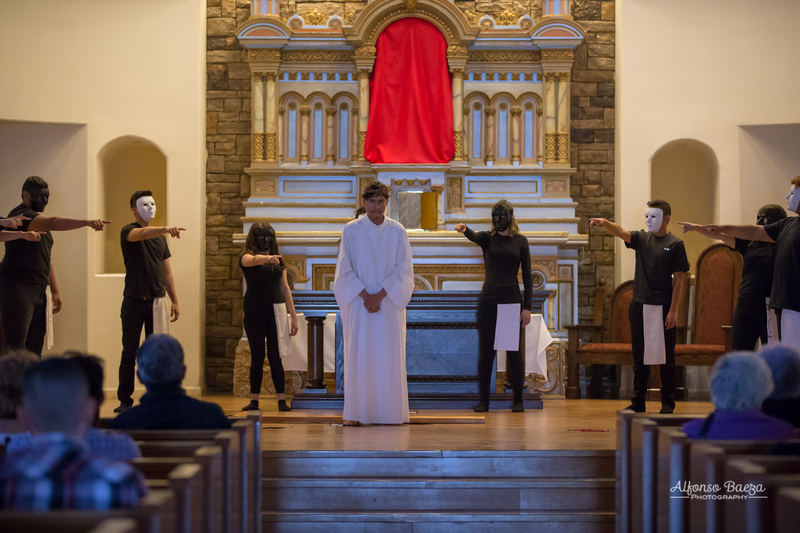 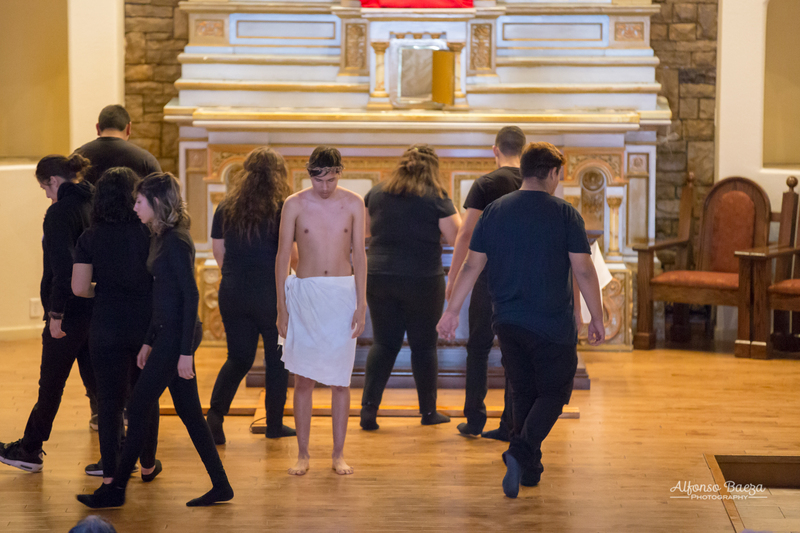 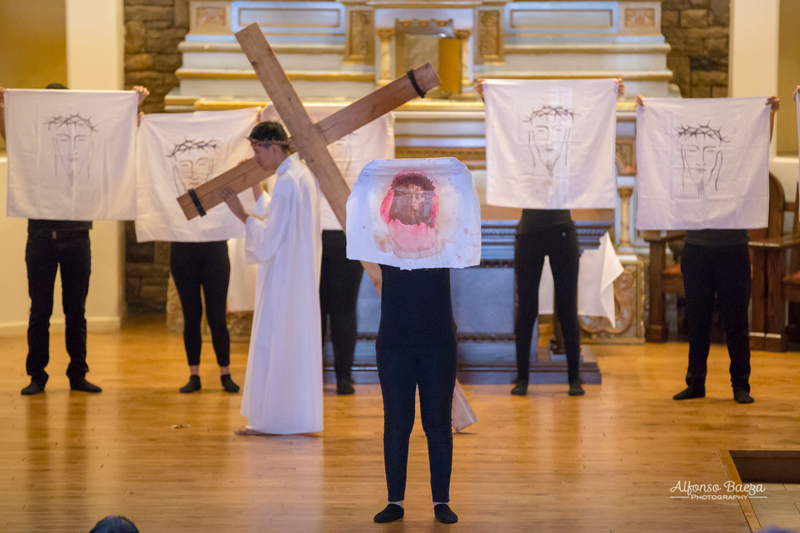 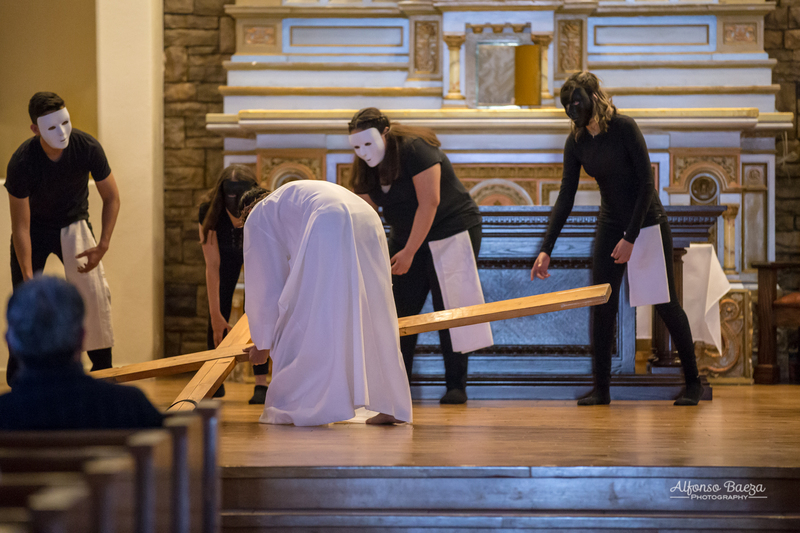 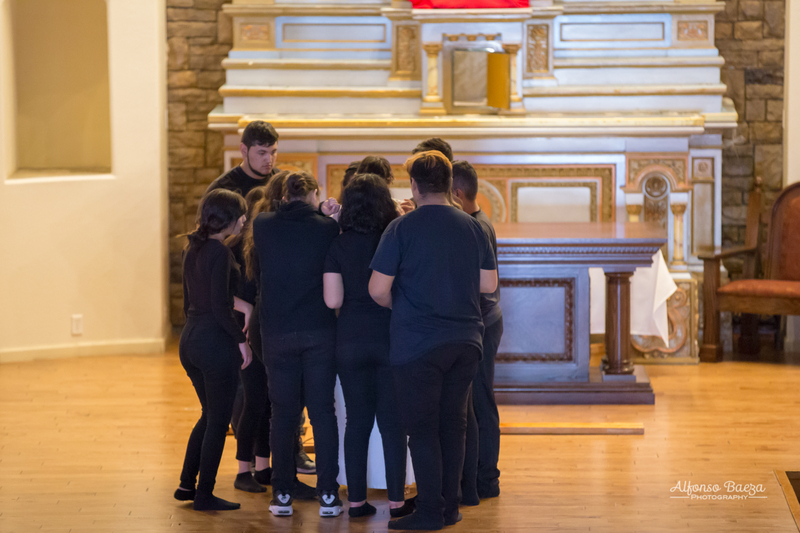 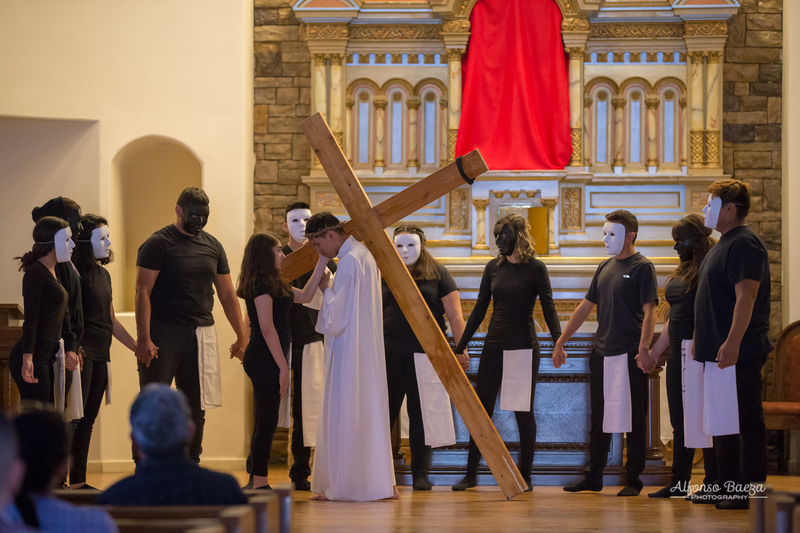 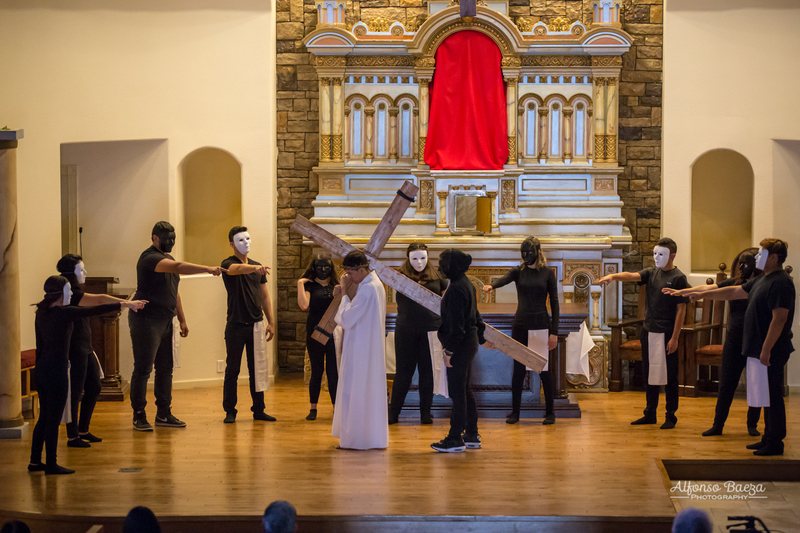 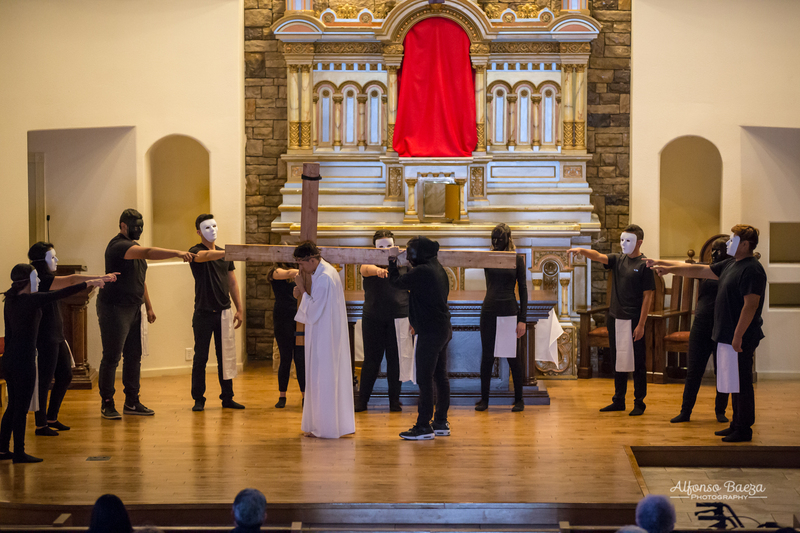 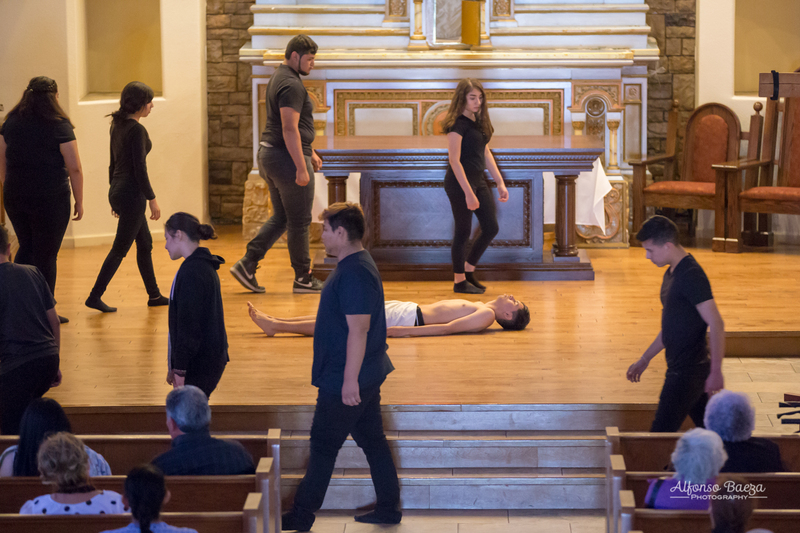 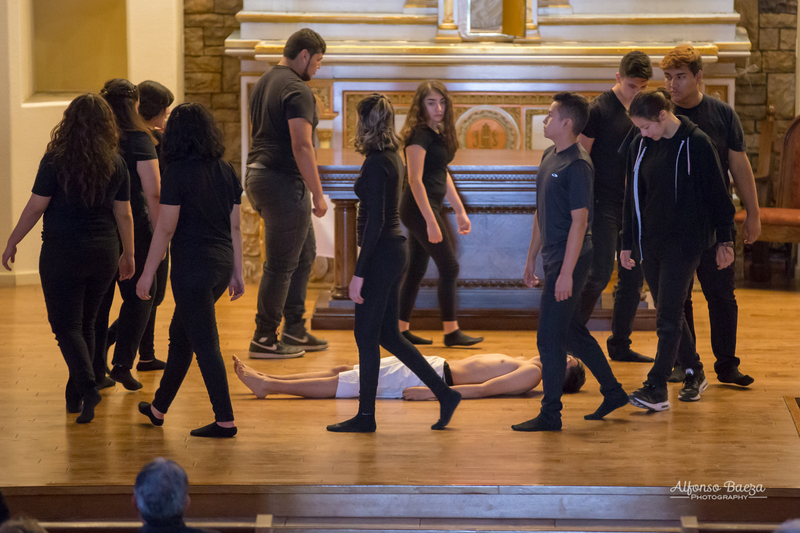 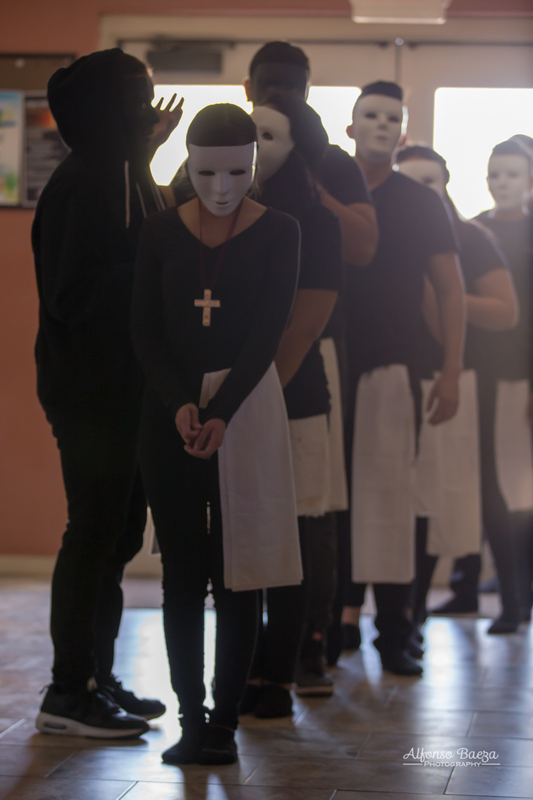 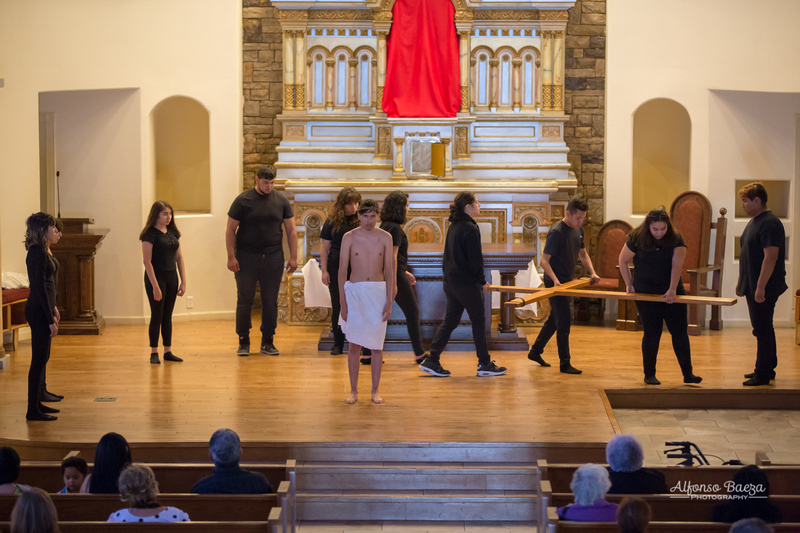 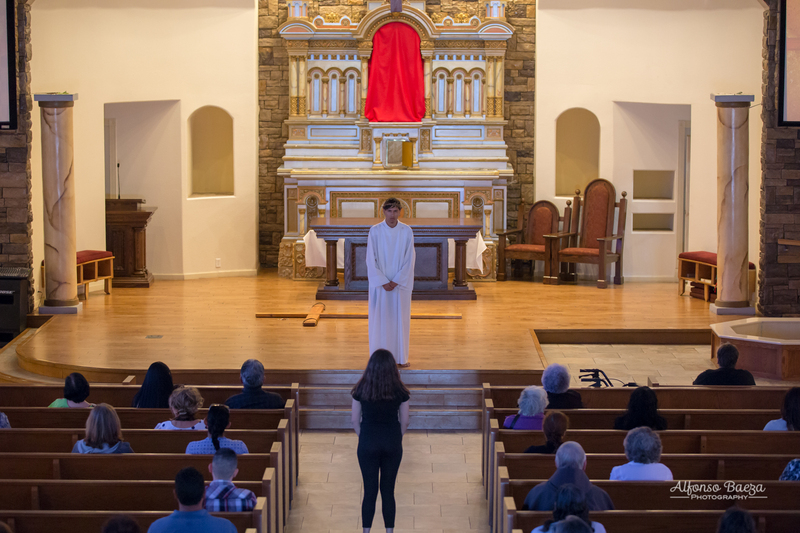 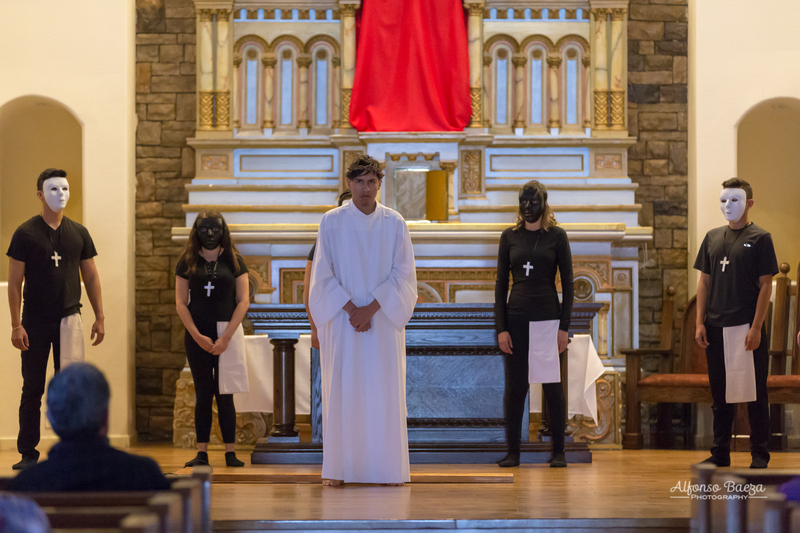 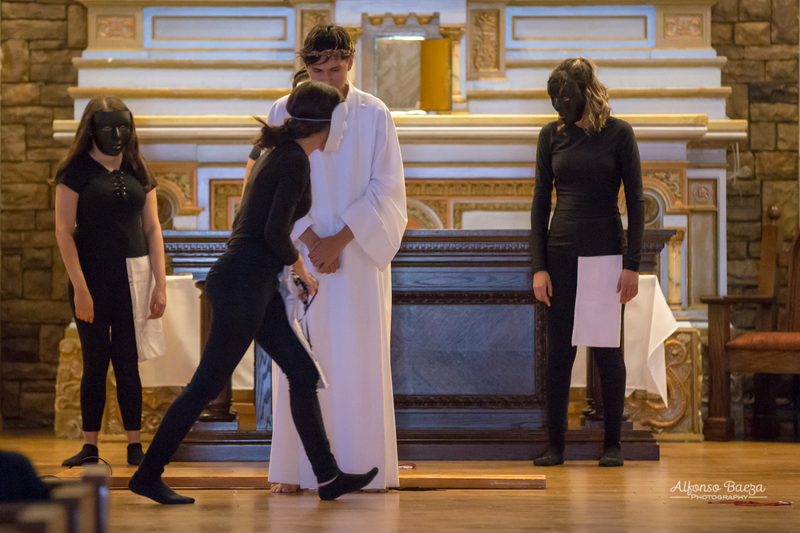 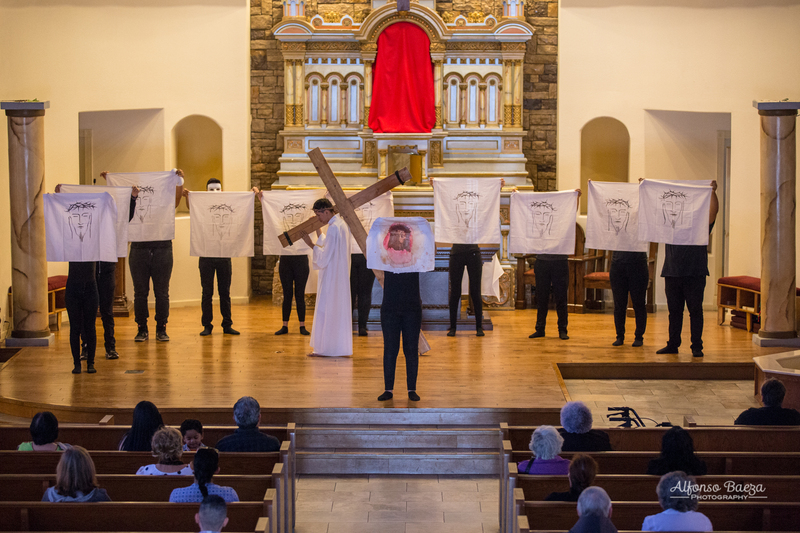 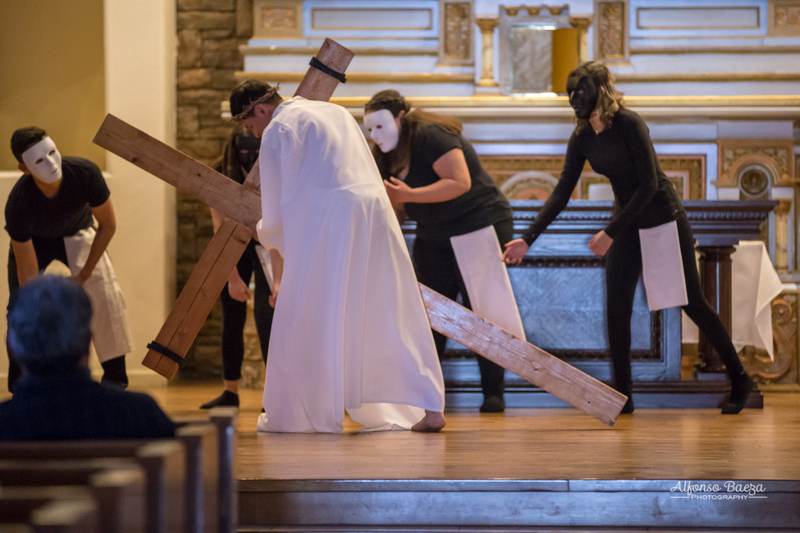 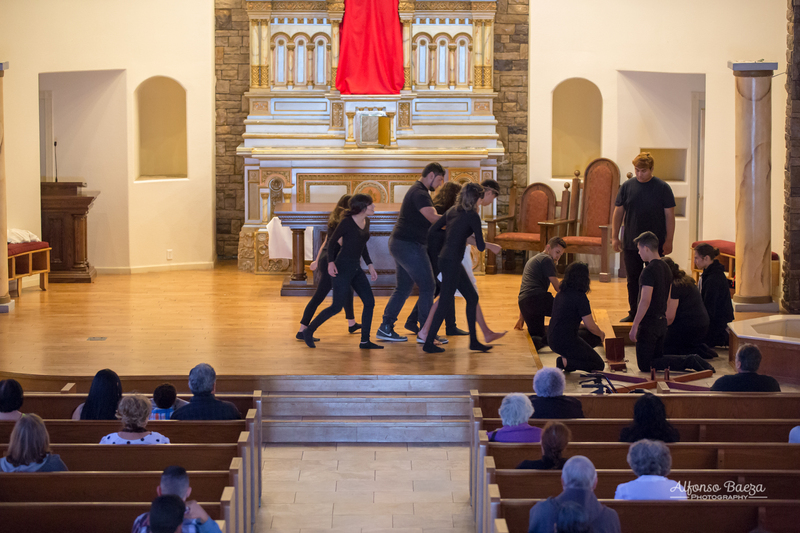 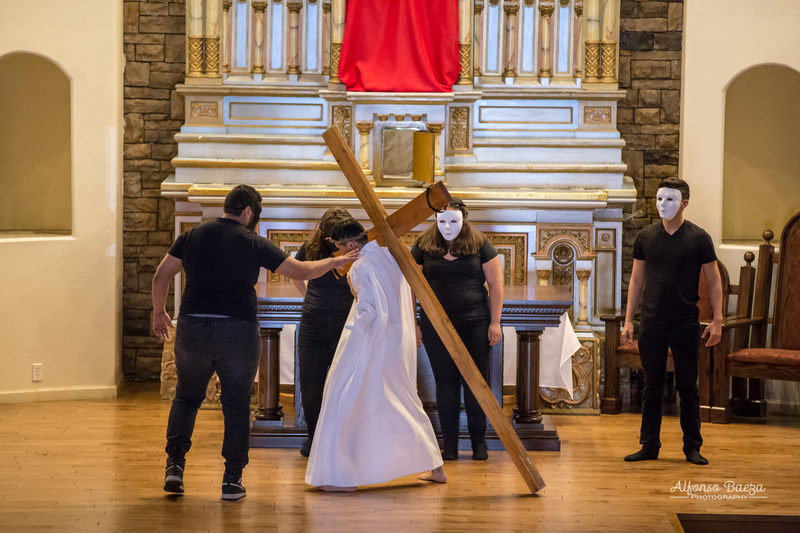 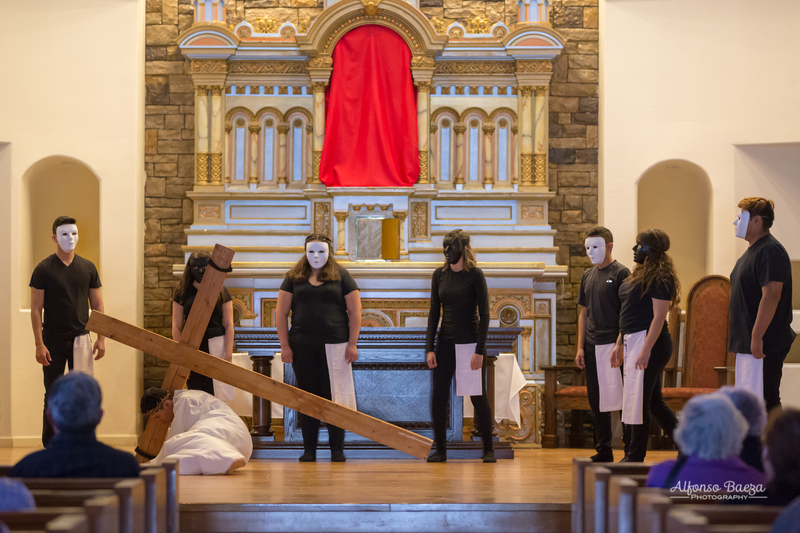 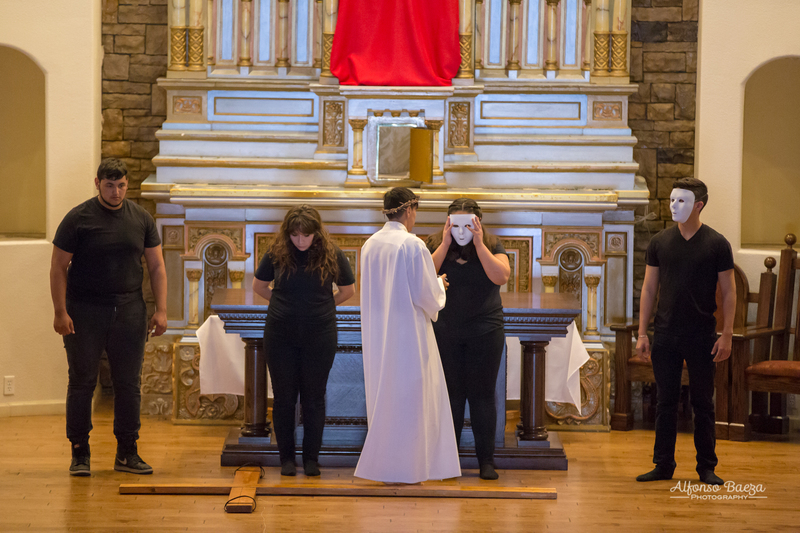 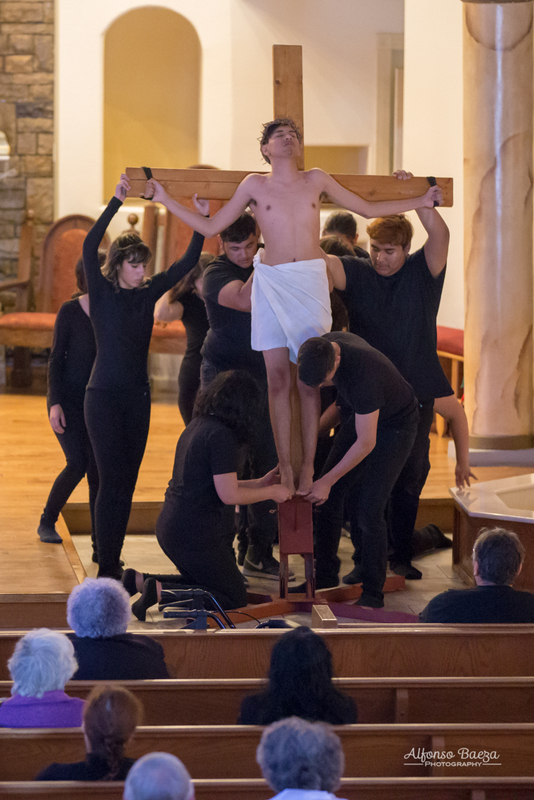 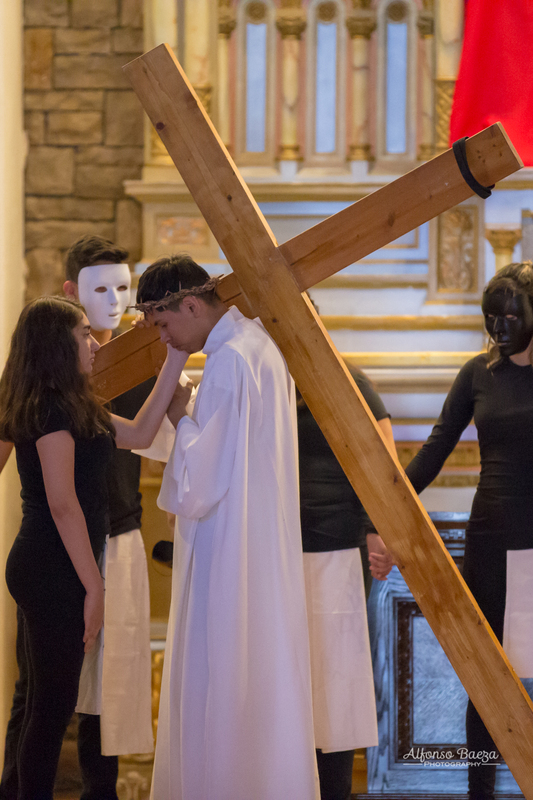 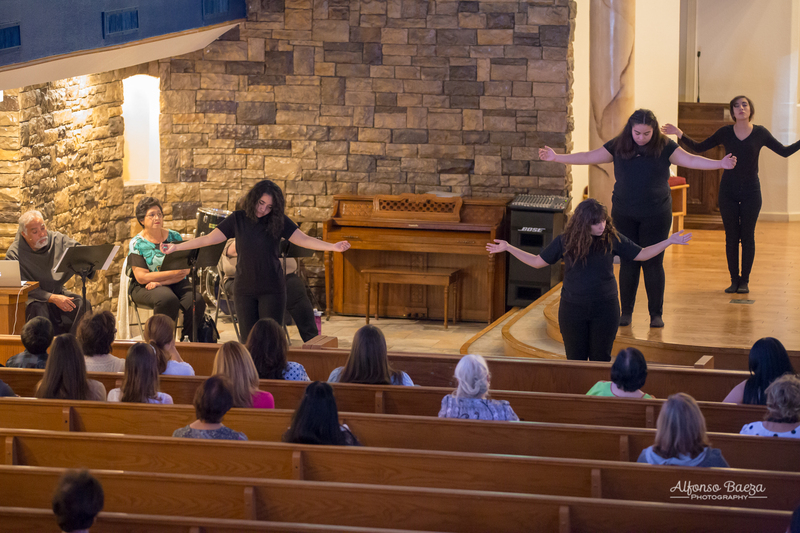 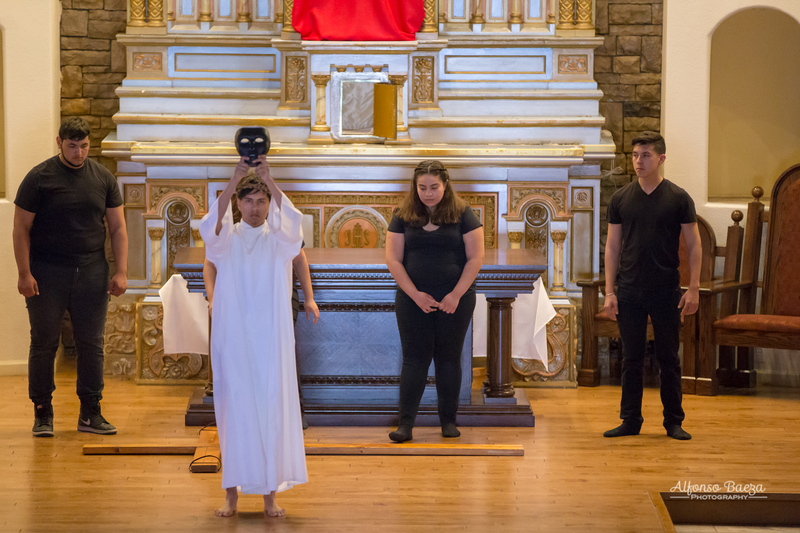 Performed by the Religious Education (Confirmation) students.